Strong, robust & lightweight. 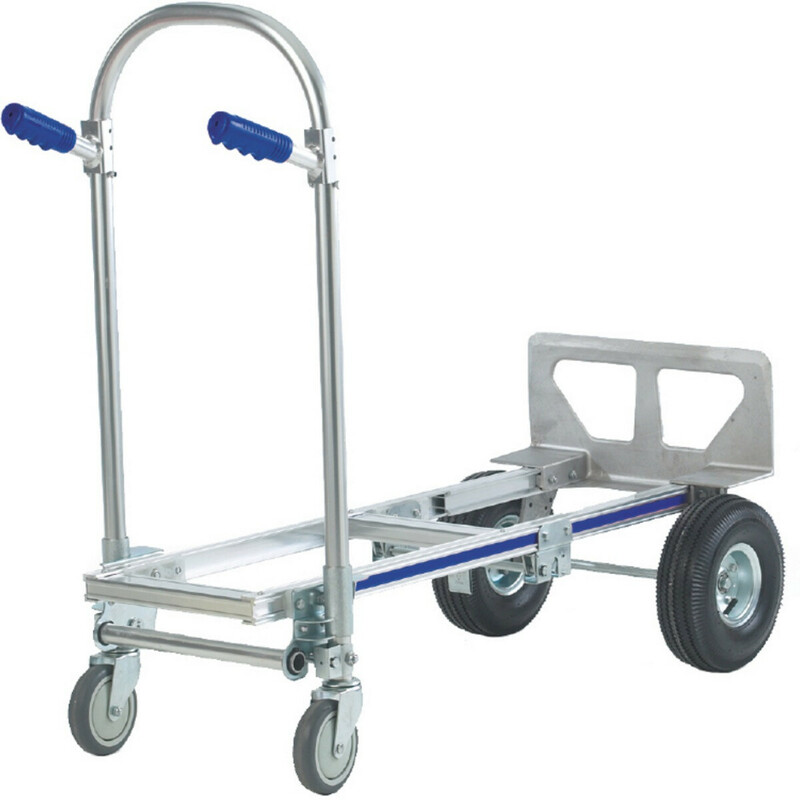 250mm pneumatic wheels for rough terrain. 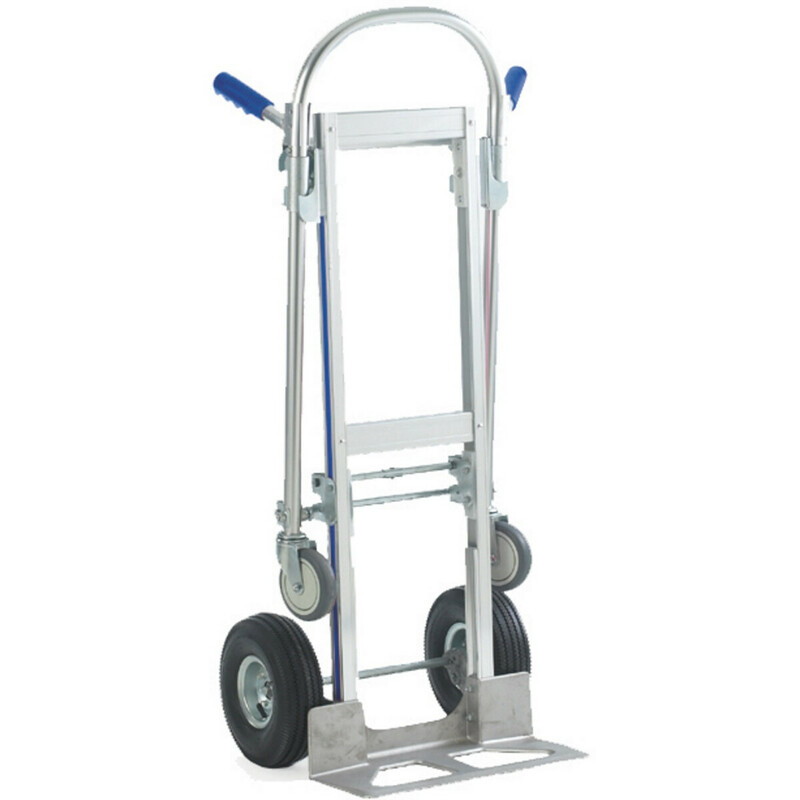 Can be used as a sack truck or a platform truck. Overall width of 510mm. Toe Plate Size: 455 x 225mm. Carrying Capacity: 150kg evenly distributed. Overall Height Folded: 1310mm. Overall Height Unfolded: 1020mm. Weight: 20kg.